3D and 4D technology elevate the at-home massage experience. Which are the best 3D massage chairs? 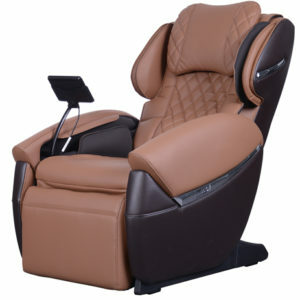 The best 3D massage chairs provide the most humanlike touch you can find. And a few, like the Osaki OS Pro Maestro and Cozzia Qi, have elevated that experience to deliver a “4D” massage. In a 4D massage, the rollers extend deeper, and change intensity, depth, and speed for an even more customized massage. Settle in to learn everything you need to know about 3D massage chair technology in our comprehensive guide to the best 3D massage chairs available today. Since the first electronic shiatsu massage chairs were introduced in Japan in 1954, at-home massage chairs have used “2D” technology. Massage rollers traveled up and down and side to side on a track to massage the muscles. Technology advanced, and engineers sought to create a more humanlike massage experience. Dual and then quad rollers are designed to feel like human fingers moving across the body and up and down the spine. The rollers were also equipped with 3D technology, permitting the rollers to extend as much as 10 inches away from the track for a genuine deep tissue massage. 4D technology extends the experience even further and also gives the rollers more capabilities for an even more humanlike feel. Whether the massage chair uses 3D or 4D technology, it all comes down to finding out what chair is most comfortable for you. Here are some of the best 3D and 4D massage chairs available right now. 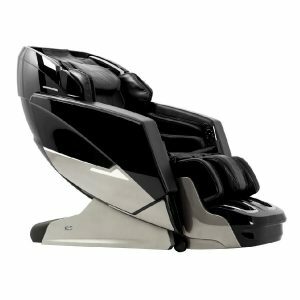 The Osaki OS Pro Maestro is a new, 4D zero gravity L-track massage chair that is our favorite right now. We have yet to test another chair like it. The Japanese-designed heated quad rollers extend a full 10 inches past the 53-inch long hybrid SL massage track for a deep yet comfortable massage. 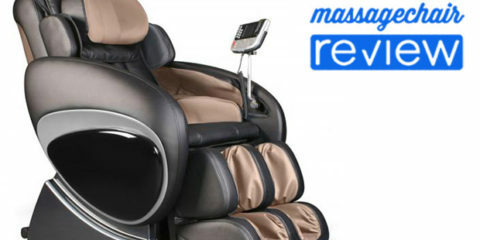 The Osaki Maestro offers virtually everything you could want in a massage chair, including two settings of zero gravity, an intuitive LCD touchscreen controller, 64 airbags for a full body compression massage, and a Bluetooth Amphitheater speaker system that is second-to-none for a full immersive massage. The pre-set massage programs are worth mentioning. Unlike other massage chairs, which won’t allow you to target specific body parts within the automatic programs, you can choose from four different pre-set programs for your neck, back and shoulders, and another four pre-sets for your lower back and glutes. You can also select from 8 full-body massages, and you can access them all from the buttons on the inside of the arm for added convenience. Finally, the Osaki Maestro has an adjustable, enclosed ottoman that delivers effective shiatsu and compression massages to the calves and feet. further customize your massage experience. 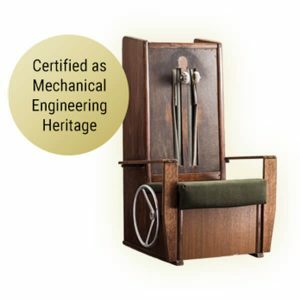 The Cozzia Qi uses “Chair Doctor” technology that sets it apart from other models in this class of high-end massage chairs. Cozzia’s proprietary Chair Doctor technology measures tension levels in different areas of your back to detect the areas that need the most work. It then delivers a customized massage that focuses on those areas. The Chair Doctor tracks your progress each time you have a massage and adjusts the settings to accommodate changes. It’s important to note the Chair Doctor operates separately from the highly effective body scan that delivers a more accurate massage across your back and shoulders. The Cozzia Qi combines heated rollers with back heat for a comfortable and relaxing massage. Unlike other massage chairs, the Cozzia Qi is controlled exclusively through an app, via the included iPad Mini. 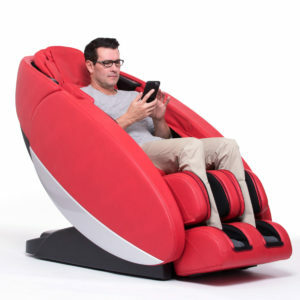 Once deemed “the best massage chair on the market,” the Ogawa Smart 3D is surpassed, today, by a few more advanced models—notably, the Cozzia Qi and the Osaki OS Pro Maestro. With 5-star consumer reviews, it remains the best 3D massage chair by renowned manufacturer Ogawa and boasts several industry firsts. Unlike newer chairs, the Ogawa Smart 3D uses dual roller heads instead of quad heads. However, Ogawa has invested more than a million dollars in this technology and it still delivers an incredibly humanlike massage. With more than 17 programs and 12 massage techniques, the Ogawa Smart 3D has the technology to provide a customized massage that’s perfect for every user, regardless of whether you are looking for a deep tissue massage or a softer touch. Double body scan technology assures an ideal fit to your body. Even the airbags adjust to your body using exclusive Smart Sense technology. The Ogawa Smart 3D was the first massage chair on the market to use an Android tablet as a controller, making operation easy and intuitive. The chair also has quick touch controls on the inside of the arm for easy access to frequently used features like zero gravity. The Human Touch Novo XT is the only chair on this list that will accommodate users up to 6’9”, so taller people can also enjoy the massage of their dreams. Hand in hand with its ability to fit taller users is an extra-long, 50-inch 3D L-track design that massages from the base of the neck down past the glutes. Only the Osaki Maestro has a longer L-track, measuring 53 inches. The Human Touch Novo XT features zero gravity, lumbar heating pads, and 34 different massage programs, including deep tissue and stretch program, which incorporate up to 8 massage techniques. Controlled via an intuitive LCD remote, the chair combines comfort and convenience, placing it all at your fingertips. 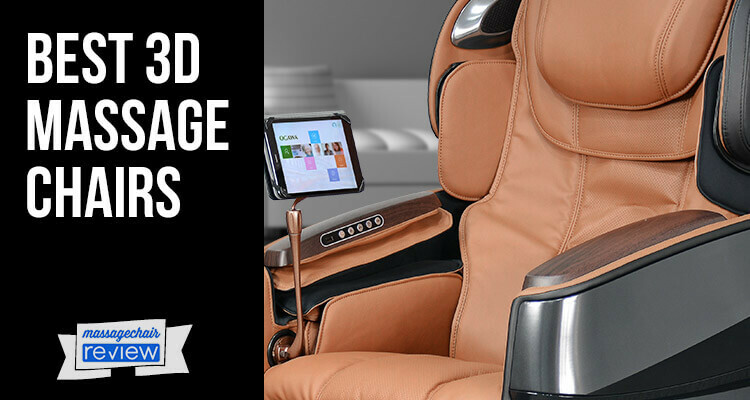 The Novo XT boasts all the technology you’d expect in a chair that costs just under $8,000, including two zero gravity settings, immersive Bluetooth speakers, automatic ottoman length adjustment, and shiatsu foot massage rollers. Available in five colors to match any home, the Human Touch Novo XT has a distinctively modern look and a wall-hugging, space-saving design that needs just five inches of clearance to fully recline into the deepest zero gravity position. 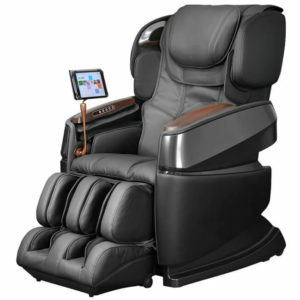 The Ogawa Touch 3D is a premiere model 3D massage chair packed with features like 2-stage zero gravity, shiatsu foot rollers, Bluetooth connectivity, and an easy-to-use touchscreen remote. The dual head 3D rollers employ six different massage techniques to loosen, soothe, relax, and rejuvenate the body. You can adjust their intensity to six different levels. Ogawa’s double body scan technology is highly effective in locating acupressure points for a perfectly targeted massage every time. You can also pinpoint problem areas using the remote control, and the rollers will target your chosen spots and the surrounding area with a radius of just three inches. The network of airbags in the Ogawa Touch 3D is one of the best you can find. It uses patented SmartSense air cell technology to lift and reposition the body during stretch massage programs Compression levels can be adjusted to five different settings for your comfort. The airbags are the quietest you will find. Dual LEDs on the headrest bathe the room in relaxing light designed to evoke a calming mood. Lumbar heat and vibration complete the package for an incredibly immersive massage experience. 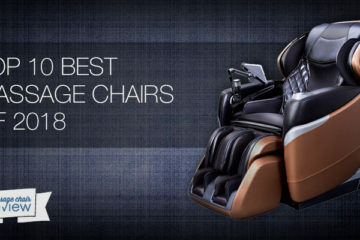 Ogawa undecidedly leads the pack when it comes to a variety of high-quality 3D massage chairs. The Evol (“love,” backward) is a newer model with an astounding number of features for under $5,000. Like the Smart 3D, the Ogawa Evol has dual roller heads, but they are heated to melt away tension and loosen muscles. The Evol also gives some extra “loving” to your feet with kneading foot warmers to improve circulation and ease tired muscle tissue. The 3D rollers offer 5 levels of adjustability for intensity, strength, and speed. The rollers can adjust to two different shoulder widths for a more accurate massage. The airbags also adjust to three different intensity levels to create the perfect compression massage for any body type. The wired touch tablet controller makes the Ogawa Evol as easy to use as it is comfortable. 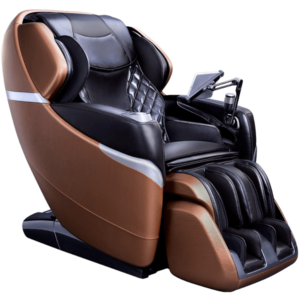 If you are looking for an affordable 3D massage chair you will love, look no further than the Ogawa Evol. Part of the Panasonic Real Pro Ultra Series, the Panasonic EP-MA73 massage chair has been a bestseller and a favorite in the world of 3D massage chairs for several years. The quad head rollers are heated for warming relaxation and provide six levels of intensity adjustment for a comfortable massage. A true pioneer in massage chair technology, Panasonic was one of the first to offer quad rollers with heat, and the EP-MA73 remains one of the best 3D massage chairs on the market today. legs, and the core, via a pelvic tilt designed to help alleviate lower back pain. A total of 33 airbags deliver a compression massage and offer five different levels of adjustment for comfort. Unlike many other 3D massage chairs, the Panasonic EP-MA73 has a rotating ottoman, foldable armrest, and removable headpiece that converts the chair into a stylish recliner for every day use when it isn’t being used for a massage. The Osaki OS Pro Ekon offers many of the same features as the bestselling Osaki OS Pro Maestro in a space-saving design that requires just three inches of wall clearance in the zero gravity position. The Ekon has a 49-inch hybrid L/S track, a full four inches shorter than the Maestro, and delivers an effective glute massage for users up to about 6 feet tall. The Ekon is a 3D chair, not 4D like the Osaki OS Pro Maestro, which means the quad rollers do not extend as deeply into the muscle tissue. The Ekon rollers extend just three inches from the track, as compared to the depth of the Osaki OS Pro Maestro. 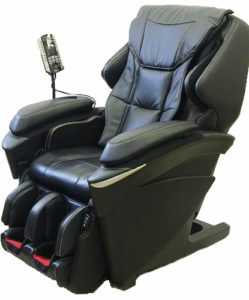 Six automatic programs incorporating six massage techniques do not provide as much variety as many other 3D massage chairs, but the offerings do have some nice features, including a Thai-style extension massage to loosen muscles, and a post-workout recovery massage. You can also manually target your whole back, a partial area, or a single point for intense muscle therapy. 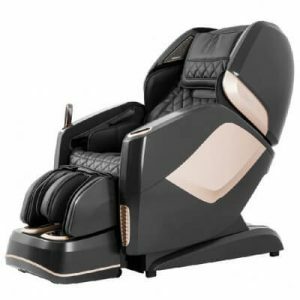 With lumbar heat, Bluetooth speakers, and reflexology foot rollers, the Osaki OS Pro Ekon is still one of the best 3D massage chairs from a trusted manufacturer. 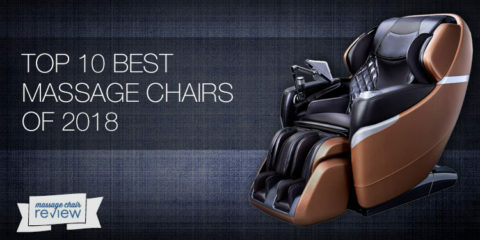 Which Is the Best 3D Massage Chair for You? 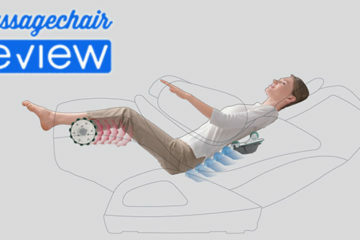 3D and 4D roller technology offer the most advanced, most humanlike massage you can find in a robotic massage chair. 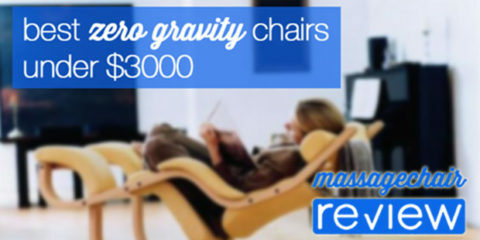 Most of the best 3D massage chairs are packed with popular features like zero gravity and full-body compression massage. It pays to read reviews, comparing pricing, determine what features you want, and also consider the look of the 3D massage chair before you make your choice. 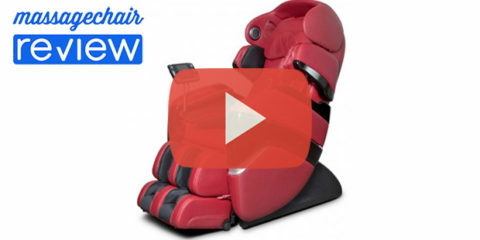 We’ve been spending a lot of time in the new Osaki OS Pro Maestro here at Massage Chair Review, and we highly recommend it as the best 3D massage chair available today. Whatever model you choose, you can’t go wrong with the comfort and convenience of a 3D massage chair in your home.